This quaint, unique miners cottage contains 2 queensize bedrooms catering for couples. This cottage has a brand new kitchen and bathroom equipped with every conceivable gagdet to make your holiday special .It has a milkshake maker, sandwich maker, percolator etc. Your privacy is of utmost importance. The cottage is exclusively yours to relax and revel int he surrounding, peaceful country atmosphere. Emaroo Cottages offers you an experience, not just a place to stay. Sit back after a bbq under the verandah and sip complimentary wine and chocolates while listening to the surround sound entertainment centre or finish off the night with a port and percolated coffee. Free local phone calls and internet access available. Emaroo Tramway is a beach house in the desert. This unique cottage is a cut above the rest, providing excellent accommodation, privacy at an affordable price and situated close to the Plaza. The accommodation is suitable for couples It is fully self-contained, with quality linen provided and 2 queensize beds to stretch out for the best sleep you've had in years. It has a modern kitchen and bathroom fully equipped with every conceivable gadget to make your holiday one to remember. Free local phone calls and internet access is available. Your privacy is of utmost importance, The cottage is exclusively yours to relax and revive in the surrounding,peaceful country atmosphere. 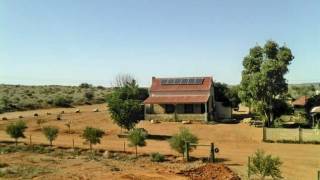 This unique miners cottage in Broken Hill provides quality accommodation at affordable prices. This cottage is suited for families. It has 2 queensize bedrooms and a 3rd bedroom containing 2 single beds. The kids room has an X-Box, T.V. DVD and games to keep the children amused. It is fully self contained with quality linen provided and is spotless. Welcome to Emaroo Williams Cottage in Broken Hill. A change of clothes and a toothbrush is all guests need to take to our cottage- it has absolutely everything else.We provide quality accommodation at affordable prices. The cottage is fully self contained with quality linen provided and is spotless. It has been recently renovated with modern kitchen and bathroom fully equipped with every conceivable gadget to make your holiday special. Sit back after a bbq in the pergola and sip complimentary wine and chocolates while listening to the surround sound entertainment centre, or finish the night off with a port and percolated coffee. Free local phone calls and internet access available. Emaroo Cottages offer unique holiday accommodation within the town of Broken Hill, in Far West New South Wales. With privacy, space, and comfort. 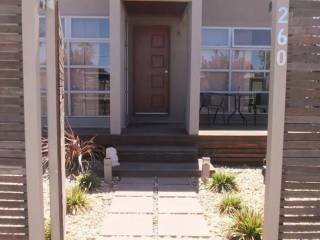 Emaroo Cottages are ideally located close to all the amenities and major attractions of Broken Hill. The cottage is exclusively yours to relax in the peaceful country atmosphere. Your privacy is of utmost importance to us. We offer 2 and 3 bedroom cottages, our accommodation catering for couples, families and corporates. Cottages are all fully self contained with quality linen provided and are spotless. They all have modern kitchens and bathrooms fully equipped with every conceivable gadget to make your holiday extra special. Pets are welcome on request and there is a $30 fee for their stay. Sit back and sip complimentary wine and chocolates while listening to your surround sound entertainment centre, or finish the night off with a port and percolated coffee. Enjoy the sunny days in Broken Hill sitting out in the outdoor entertainment area having an Aussie BBQ. Free local phone calls and internet access available. Secure parking and enclosed back yards. Why stay in a Hotel/Motel room, when you can have the privacy and comforts of a complete home away from home. Emaroo Cottages in Broken Hill offers you an genuine country outback experience, not just a place to stay. Sometimes referred to as the Silver City, Broken Hill is located in the far west of New South Wales and has built its thriving reputation on lead, silver and zinc mining, as well as playing home base to a strong wool-growing industry. The landscape, while parched, is remarkably unique and is marked out by its striking earthy tones. 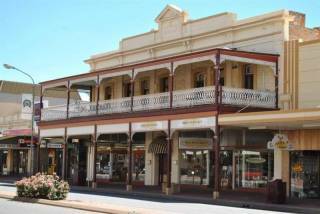 And you'll never be short of a watering hole in this traditional outback town: Broken Hill is home to an incredible number of pubs! The art of outback living - so many artists live in the district and call on the region's beauty for their inspiration. Enjoy the local galleries in and around town, and don't miss the renowned gallery of one of Australia's favourite artists, Pro Hart. Visit the spectacular Mutawintji Historic Reserve which contains one of the best collections of Aboriginal rock art in NSW. Explore Mutawintji National Park known for its colourful gorges and creek beds lined with red gums. See a ghost town teeming with life at historic Silverton. Grab a cold beer in the Silverton Hotel - star of many movies including Priscilla Queen of the Desert. Experience an outback town. Enjoy the other local galleries in and around town and tour the extensive mining area at the Line of Lodes. If cancelled 0 - 7 days before arrival, the rate equivalent to 1 nights accommodation will be charged / If cancelled 8 or more days before arrival, a $25.00 cancellation fee will be charged. 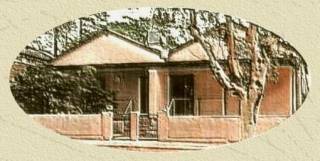 Emaroo Oxide Cottage is at 100 Oxide Street. Emaroo Williams Cottage is 341 Williams Street. Emaroo Argent is 511 Argent Street. Emaroo Tramway is 18 Tramway Terrace.